Do you buy your own jewellery or do you only have jewellery other people have given you? Whichever way it comes into your life, for many of us we have sentimental attachment to some pieces. I’ve always collected jewellery when I travel. In the photo above there are rings I picked up in Wales, London, Hawaii, Prague, Geneva and Bristol. Each time I wear them I remember my travels and the fun I had and the people who were there with me. Over the years I’ve found that rings tend to be the most sentimental pieces for me. Maybe it’s related to the fact that the jewellery heirlooms I’ve inherited are mostly rings, from my grandmother’s wedding and engagement rings, to the diamond and ruby ring my Great Uncle made for my Great Aunt (he was a jeweller), who passed it down to me, to pass onto my daughter one day. For many it’s because their first serious piece of jewellery was their engagement ring or wedding ring, ring, that are given as symbols of love and commitment. I think with rings too, many of us don’t take them off too often, they’re pieces that we leave on and wear every day, they don’t get in the way like necklaces and earrings may when we exercise, or shower. Pandora has just released a range of birthstone rings, (rrp$59) each with a cabochon cut gemstone in a delicate floral setting in solid sterling silver. Being an October baby, mine is a Pink Opal which is a delicate shade of light pink. What I love about these rings is that if your personal style is more feminine or you are more petite, you can wear them on their own, but if you’re more creative or dramatic you can stack them with other rings for a more dramatic or creative look, depending on your mood and style. These rings would make a fabulous birthday gift for a friend or other loved one. It can be so hard to find a meaningful present at such a reasonable price and you can personalise your gift by creating a ring stack of your choosing by including some of the other gorgeous rings in the Pandora ring range. Why not personalise a stack of rings that include not only the receiver’s birthstone, but the months that her kids were born too or that of her husband, partner or other loved ones? 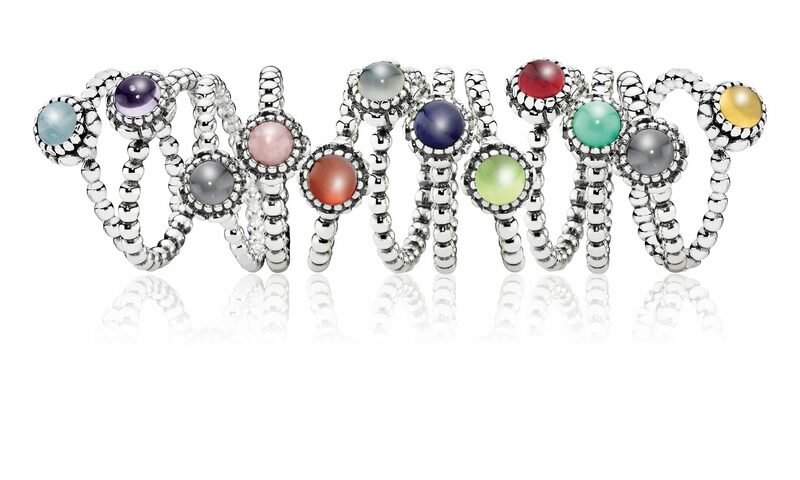 The people at Pandora want to give 2 of you your own gorgeous birthstone ring valued at $59. To enter, leave a comment here on Inside Out Style blog (not Facebook) about a piece of your jewellery and what it means to you. Creativity will be taken into account when deciding upon a winner! Entry is only for Australian residents and entries close 5pm (Australian EST) 16th July 2012. Winners have been notified via email! Previous articleDo You Prefer to Bargain Hunt or Pay Full Price? Next articleHow Good is Your Colour Vision? 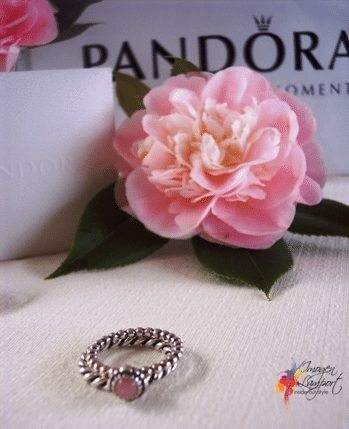 The Pandora rings are beautiful. My birthstone is peridot which always makes me feel special as it’s not a stone I see used often unless it’s birthday-related jewellery. My most special piece of jewellery is my eternity ring. Due to some traumatic circumstances when my son was born, it turns out that he is the only child I will ever be able to have. My husband was so overjoyed to bring us both come safely from hospital that he wanted to design a special eternity ring. Not long after we got home from hospital we were broken into and some of my favourite jewellery was stolen – the gold bracelet from my parents for my 18th, my grandmother’s brooch that was given to my mother on her 21st and then given to me on my 21st and the most precious thing taken was my grandmother’s pearls that were made in 1902. With the insurance money my husband then designed the most gorgeous gold and diamond eternity ring that I wear every day. When I look at it, I’m reminded of my family that are now gone (Mum and Nanna) and the family I still have (my husband and son). I just read Kerrie’s comment (above) and I wondered how often people lose their jewellery through a home robbery because that happened to me as well. “Our” robbers made a terrible mess but only took my jewellery which consisted of gifts and inheritance. I still mourn the loss of my mother’s engagement ring. It was my last remaining link to my mother and father. Dad had given Mum a beautiful handmade diamond ring from one of Sydney’s leading jewellers. What I loved about it was the workmanship, the delicate design and a complete symbol of love. Unfortunately, nothing was specified on our insurance policy so we received only a token amount of compensation so I couldn’t replace it. One thing I consider myself to be fortunate about in jewellery though is that I am an Aquarius and that the amethyst is my gemstone. I really like the colour and sparkle of an amethyst. It would be wonderful to win something from Pandora who make the most wonderful contemporary and feminine jewellery. Who doesn’t love jewellery. Whether it is something your purchase yourself or something that is given to you there is usually a meaning behind every piece. As one who didn’t enter into the Pandora foray until recently, I couldn’t understand what all the hype was about until I actually purchased an item for one of my daughters. From there I purchased for my other daughter and in turn they have purchased for me. My most precious piece is now my pandora bracelet. With only a few charms it reminds of all the things I love about my daughters. To me it is a symbol of where we have been and where we are now as well as where we may head in the future. As a mum who has raised two teenage girls, life got a bit rocky and I often wondered whether we would be close once they became adults. We are now the best of friends and share a bond that is unbreakable. This bond was cemented for me when they added the mother/daughter charms to my bracelet this Mother’s Day. 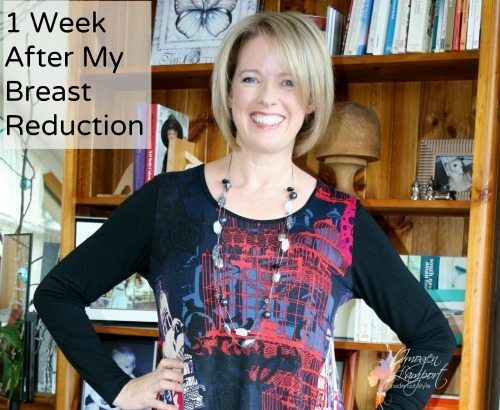 It was something that meant the world to me and is something I proudly wear knowing that we all weathered the hormonal teenage storms and came out the other side. To say I am proud of the two amazing women my daughters have become, would be an understatement. I adore the Tiffany Elsa Peretti twin heart bracelet my husband gave me for my 30th birthday when I was very newly pregnant with much longed for IVF twins. Sadly, the twins didn’t both make it, so the twin hearts symbolise to me both what we have and what could have been. I wear it every single day with much love. All my life I had admired my Nan’s beautiful Opal ring. I loved the way the ring would appear to change colour in different lighting, from deepest red, to emerald green, blues and yellows. My Nan would say to me, ‘this will be yours one day, as it’s your birthstone (October)” , my reply was always “no Nan, i want you, not the ring”. Well, a few years ago now, on the eve of my beloved Nan’s funeral, my Aunty came over to me and placed the ring in my hand (in it’s original brown leather box). No words were spoken. Just plenty of tears shared between the two of us. I wear this ring now, every day, to remember my Nan. It’s a little bit worn, and dented, and a bit flawed even, just like my Nan! But that was her to a tee, she lived her 88 years of life to the absolute full. The beautiful pink Opal ring would be the perfect complement for my Nan’s ring. The two would be side by side, until one day I could pass them down to my own daughter, and she then could have a permanent reminder of us. Another family heirloom created. I guess because I’m not a huge jewellery person I would have to say that my most valued peice would have to be my 18ct white gold Marquise cut diamond engagement ring which I received 19 years ago. At the time of choosing my ring, yes I did have to have a part in it, I had found the gold version in the jewellers, & told my finance that yellow gold was no good for me as I was a silver/white gold person & I would never be happy with yellow gold on my finger. Despite the fact that it was more expensive then the yellow, he could see that such a statement of my having a unique looking ring to the normal round solitare style around at the time was of the upmost importance to me. Lets face it we all need out marriages to get off to a good start, so he was happy to oblige!! I must say circumstances have not let me enjoy another ring of such a high value since, so Im glad I could at least indulge once on such a momentous occasion! My favourite piece of jewellery speaking as a guy is my grandmother`s wedding ring. My mother passed it on to me after receiving it just after my grandmother passed on some years back. It means so much to me. It is more than just jewellery to me. It is a treasured memory of my grandmother that I did not get to see before she passed on. When I received it with much thanks to my mother. It the ring was like and to me is a blessing from my grandmother passed on via my mother and in turn I shall pass on to my daughter. Yes its more than plain gold jewellery, it is something rather special. When I was a little girl my Nan had bought me a Saint Christopher Charm on a silver bracelet which I treasured. Sadly I lost it when I was young. My husband and I are childhood sweethearts, When we first went out I was 17, he was 18 and we had just spent the last 6 years at high school together! For my 18th Birthday he bought me a Saint Christopher charm and necklace and had it engraved “Happy 18th”. I have worn it everyday and cherish it so much. If I go out and change necklaces to suit what I’m wearing I always take off my necklace and have it in my pocket or in my purse. I cannot leave the house without it. My necklace will have it’s 21st Birthday next year! I have been looking at the Pandora collection and have bought several charms for family and friends. I would love to get a new piece of jewellery to represent my family and the love I have for them. Mine has to be the cross my mother gave me for my first holy communion. Her mother gave it to her for her first holy communion and when times are tough. I can put it on whether it is seen or not I know I have a whole host of family women keeping an eye on me. Jewellery with memories is jewellery with a soul. This post caused me to take pause and wonder why I don’t have more jewelry than I do. I remember the circumstances behind each piece and how some are still with me and how others were lost or stolen. And, it is funny, but I had never taken time to think about how each piece really does have its own story. My current favorite is my Grandmother’s wedding ring. I don’t wear it but do keep it, along with my mom’s silver leaf ring, on my kitchen windowsill. I imagine it keeps them close to me! My husband bought me a pandora bracelet when I found out I was pregnant with our first child! I have worn it everyday since our little girl was born almost 2 yrs ago, the charms are so beautiful and it still looks sparkly and new all this time later! I am obsessed with Pandora jewellery and there is no other designer jewellery out there that is as strong, and beautiful! I love my chunky silver ring sourced from a silver warehouse in the south of China. Its the kind of ring that you want to get chips and marks on it so it carries its history with it. I can’t wait to experience Pandora rings too. As does Imogen, I like to buy a piece of jewelry to remind me of places I’ve been. However, it’s harder to find something unique now, as so much is mass produced. I do have my mother’s diamond (reset) from her “upgrade” engagement ring. Mine would have to be my shark tooth necklace. I know it’s not exactly the kind of jewelery you meant, but it means a lot to me. My best friend gave it to me years ago at Aqwa. She passed away last year, car accident. (Tiffany Flavel <3) I miss her everyday, but I have kept this necklace! (Even the time the dog tried to eat it – multiple times!) And I will forever. The most sentimental piece of jewellery I have would be a set of 3 stacking rings in silver set with moonstones that I had made as a discreet memorial of our miscarried babies. Each is engraved inside with the private nickname we had for them and the month and year we lost them. I wear them every day and it just makes me feel like they have not been forgotten. That’s a beautiful tribute. Condolences on the loss of your babies. I have a ring with a large square cut pale-green Colombian emerald surrounded by 16 diamonds. The ring came from a deceased estate and was made in the 1950s. Obviously made for a woman who had very slim fingers like mine, it fit perfectly. I had it on lay-by at the jeweller’s for a year and it’s special to me because I absolutely crave emeralds but with real emeralds getting more and more expensive and harder to find, it remains my most treasured piece of jewellery. My favourite piece of jewellery is my engagement ring. When we got engaged (about 36 years ago) I shocked my husband by insisting on a coloured stone. When I first wore it to work, a ruby with a small diamond on each side, one person came up and told me it was a bad choice, because those stones stood for blood and tears (!) I thought about it for a moment, and then said, “But isn’t that what real love and life and commitment is all about”. It gave those stones an added depth of meaning. Fast forward to nine years married, and I lost it while travelling. At the time we used the insurance money towards our mortgage. I tend to have scarves as recollections of places I’ve been. However as i look down at the rings on my fingers each of them has a special significance. But there are two standouts. And the other is a beautiful Rhodalyte (Spelling???) Garnet ring which my husband and I designed together for a birthday present for me a few years ago. Another October Child here too! Is it any wonder i have a thing about pink??? Thanks for sharing this review Imogen. When my grandmother passed away, I received a ring of hers and some of her beautiful wind on earrings, these pieces mean so much to me as they are so old yet still obtain their original beauty and I just love wearing them reminds me of her. I actually have 2 faves that belonged to my nana (who raised me) that I can’t choose between. The first is her rose gold wedding ring which I was given when she was dying. The second, a gold ring with 3 rose-cut diamonds in it, was actually made by HER father, a watchmaker/jeweller. He actually made 3 of those rings, one each for his daughters. When I look at the rings, I think of nana, who did so much for me, and who endured so much in her life. My engagement ring. Besides the obvious reasons it is special, it belonged to my deceased mother-in-law. The fact my husband wanted me to have something which meant so much to him means the world to me. Well I have to say I love my engagement, wedding & eternity rings for obvious reasons. I also love the ring my Nan gave to me on her 90th birthday – it was her husband’s mother’s (my great grandmother’s). Special mention also to my lovely pendant necklace which I received Mother’s Day this year with all 4 of my children’s names stamped on it. The one piece of jewellery with the extra special meaning & emotional value to me is a simple silver bangle purchased by my 15 year old daughter for me from the Vic Markets, which she had engraved “Remember Kelsey loves you xoxo” She has had a really tough 18 months since the passing of her Pop (my Dad). We have had a very rocky road & she gave this to me saying that no matter what else was going on in our lives, if we were fighting or she was in the depths of her battle with depression that I need to remember that she loves me. This touched my heart so so deeply & I treasure this more than I would a bangle made of diamonds. It is a bangle given with a special message of love. A few years ago, like you, my best friend and I travelled the world. We scoured all the markets and stalls to find truly unique and beautiful pieces of jewellry such as these rings. Although we found many, many pieces we are still adding to the collection and I would think of it as an honour if we won one of these gorgeous rings. Before I can remember my Omi (Grandmother) handed me down a latvian traditional ring. I dropped it in the garden playing, the next day I found it by our door. I accidently dropped it down a drain, the next day a plummer gave it to my mother. I lost it at a sleep over, the next time I went to visit it showed up in a pair of shoes I tried on. It seems where ever I lost it, it would always turn back up. I decided it must be a sign that it belongs in our family and is completely priceless to me. The last jewellery I received from my mother, who passed away earlier this year, was a pair of earrings. Whenever I see them, I think of my mum. The most amazing piece of jewelry i have ever laid eyes on is my engagement ring. It is exquisite in every way, made and designed by my (total bloke of a man – and most unconnected to female taste) fiance who selected the diamonds and metals himself. What a shock when it was presented to me. Turns out he knew what i liked better than i knew myself. I love the birth stone ring. It just looks so beautiful and if I see one I am so going to buy it. Mine is the pink opal. Pink, I love pink. How lucky is that my month is one of my favourite colour. chain because its so special to me. I cherish a name chain that my mum made . It’s a fond memory that will never fade. I wear it till date and love the way it shines. I am proud to say that the name is mine. I brought a pair of marcasite apple shapped earing with a stem and green leave attached. I purchased them in Turkey whilst I was on one of my first adventure holidays, but still wanted to attach some glam in there too. I LOVE them, wear them all the time, and other people always ask about them. Penne pasta painted up and threaded on a string, it has no dollar value but this gift is a most treasured thing. I love my ever-growing set of silver bangles. I source at least one for every out-of-country trip I take as the differing styles remind me that life is a journey – not a destination. More than a decade ago, a close friend of mine presented me with a handmade necklace he had made for me for my birthday. The necklace was made of up of hand-knotted round rose quartz and garnet beads from which hung a large and intricately carved green jade focal pendant in the form of a cicada – a symbol of immortality in Chinese culture. A few years later, I migrated to Australia and we eventually lost touch with each other. Even though I don’t wear this necklace often, I find myself taking it out of its box several times a year just to hold it and admire it. At times like these, it always makes me a little wistful about how our friendship had waned over the years. I haven’t bought myself that much jewelry in the past just when I’m around home, but lately, I’ve been doing so more often. As I’m a young(ish), single female, last year I decided that I would buy myself a nice ring to do something nice for myself and hey, if there’s no one in my life right now to buy me one, why not buy one for myself? So, I purchased a white gold ring with diamonds and aquamarine, my birthstone. While it is definitely one of my more expensive purchases for myself, I love it and when I look at it I see its beauty and think of my own independence and being able to do things for myself. It’s certainly a piece that I will wear for years and years (whether I buy more for myself or if someone does come into the picture who can buy jewelry for me!). My nan’s ring that my beloved Pop bought her. It is a loveheart aquamarine with two diamond chips on each side. It isn’t big or worth much but my nan and pop had known each other since they were 6 and that ring just shows me the love they had for each other. My best bit of jewelerly is not expensive but far much more, an old $50 silver ring with two Celtic like bands joining together has now become my wedding ring cause it was stolen. My Mum has given me her engagement ring because she cant wear it anymore due to arthritis in her fingers. She was quite sad about not being able to wear it anymore, and thought the next best thing would be to see me wear and enjoy it. I love and cherish it! I believe it was my birthday after the first year of dating my boyfriend who bought me a silver ring with an Aquamarine peridot shaped stone as a gift. I didn’t even know that being born in March meant that Aquamarine was my stone! Only until this day. He was either very lucky or knew very well all along and never told me. Now he is my husband and I cherish that ring very much and hope to pass it onto my daughter when she is 20 (because I was that age when I started dating her father). I don’t buy jewellery for myself, because it really has to mean something coming from another person who is significant in my life. my grandmas gold wedding band. out of all the grandchildren, she chose to give it to me. i curse the theives who stole it. My engagement ring means the world to me. My now husband bought me my dream ring that I never thought I would ever own. He worked so hard to be able to afford it and buy it for me. To me it is the most beautiful piece of jewellery in the world, not only because of the way it looks but also because of the meaning and sentiment behind it. Is an engagement ring i bought for my fiance. I sat her down and looked her in the eyes. And then held her hand and went down on one knee. She came over with emotion and she said: “This is the best day of my life”. As I pulled out her ring and asked her to be my wife. “Yes!” she exclaimed, followed by a hug and a kiss. Full of joy and the most beautiful pearl. For being so amazing and strong… I couldn’t do it alone!. The piece of Jewellery that means the most to me was a opal penant about the sizee of a one dollar coin. The opal it self was mined from central australia by my great grandma and was twice the size. She kept it in her safe for years because she said there was something special the opal was meant for (she was a little excentric) and about 10 years later my twin sister and i were born and she had the opal cut in two and made into a pendant, saying she this was what she had been waiting for. My house was robbed about 3 years ago and the necklace was stolen (i had it on a 18ct italian gold chain that my deceased grandfather left me). The most important piece of jewelry to me is a simple, silver ring that says love on it. I found it in one of my draws at work one day, and didnt really think much of it but decided to wear it anyway. Then a week later I started dating this amazing boy, and now 10 months later we are still dating and they have been the best few months of my life!! I still wear the ring as a believe it brought me good luck for love. Imogen, you are so right about rings being meaningful and a reminder of a special time. My husband bought me a Paua shell ring during our travels in New Zealand. I sometimes wear it instead of my traditional wedding ring. My engagement ring was actually offered to us by my husbands mother, and was her own mothers engagement ring. I feel blessed to be part of such a generous family. rings and watches are my favourite items of jewellery. I have an old watch that I got from my mum who was given it by an uncle of my dads. Its got an old leather strap and even though I can’t find a new face for it I still would throw it away. The most important piece of jewellery to me is my late Grandmother’s Engagement and Wedding Ring. My Grandparents were to me, the most loving, the most perfect couple ever. I grew up praying that I found a Man as great as my Grandad, and I would be as wonderful as my Grandmother. These rings represent a wonderful, caring , sharing love and the best time of my life. Those rings are so pretty and what great ideas for stacking and gifts. My birthstone is a sapphire and one of my true favorites. I was lucky enough to receive my grandmother’s engagement ring yet for my band selected both sapphires and diamonds. It added just the color I was after and I was able to combine the old with the new. Love the look. I always love to wear jewelry with dark green color gemstone like peridot stone.